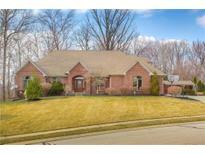 Below you can view all the homes for sale in the Timber Bend subdivision located in Avon Indiana. Listings in Timber Bend are updated daily from data we receive from the Indianapolis multiple listing service. To learn more about any of these homes or to receive custom notifications when a new property is listed for sale in Timber Bend, give us a call at 317-987-2530. Three multi level decks overlooking wooded nature filled backyard complete this wonderful property. MLS#21615203. Homes & Homesites. Beautiful lot and outdoor deck makes this the perfect house to entertain! MLS#21632251. Harvest Realty Group LLC. Upstairs office could easily be a 5th bedroom! Come see this GORGEOUS home! MLS#21629688. CENTURY 21 Scheetz. This 8,000 square foot estate has 6 bedrooms, 5 baths, a newer roof & furnace with lifetime transferable warranties. It's waiting for you! MLS#21628653. Trout Realty Co, LLC. Everything in the home...furniture, appliances,etc...is negotiable. Truly an exceptional home. MLS#21627843. F.C. Tucker West Central. Plenty of living space for relaxing with the family or entertaining in this must see home New roof in 2012. MLS#21624275. ERA Real Estate Links.